Amazon is offering FIVE sample boxes for Amazon Prime members. Even better, when you buy one of these boxes, you will receive an equivalent credit towards your next purchase of select items in the same category of the box you choose. 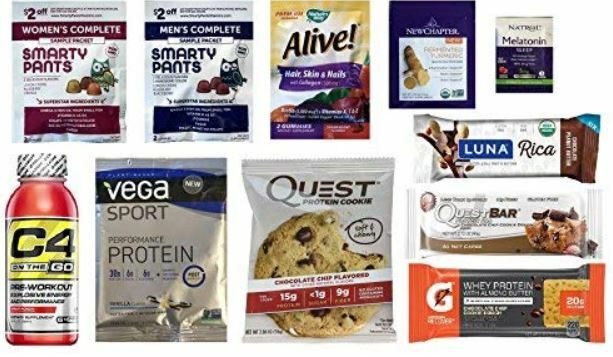 Nutrition & Wellness Sample Box $6.99 & get a $6.99 credit for a future Nutrition and Wellness purchase. Dog Food and Treat Sample Box $11.99 & get a $11.99 credit for a future Dog Food and Treat purchase. Luxury Skin Care Sample Box $19.99 & get a $19.99 credit for a future Luxury Beauty purchase. Women's Luxury Beauty Sample Box $19.99 & get a $19.99 credit for a future Luxury Beauty purchase. Women's Beauty Sample Box $9.99 & get a $9.99 credit for a future Beauty purchase.